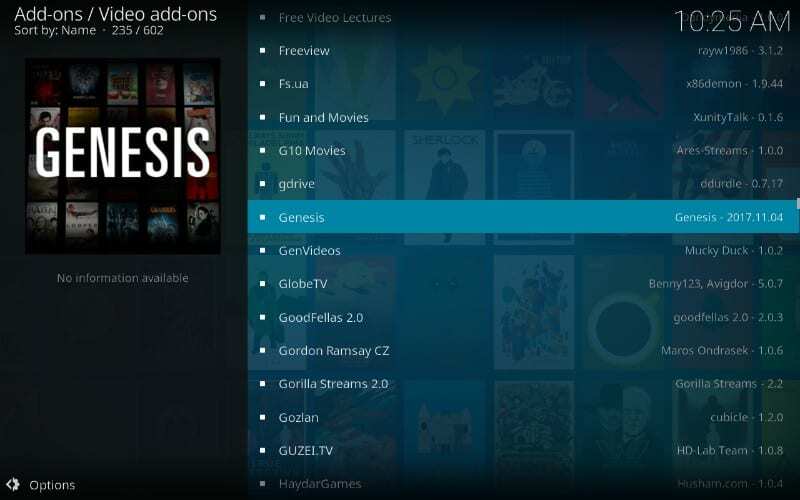 If you are an avid Kodi user, you must’ve used the Genesis back in the day as it was one of the best Kodi addons. Unfortunately, Genesis along with Exodus, Elysium and a bunch of other unofficial ones was shut down. But, just because Genesis was shut down, that doesn’t mean you can’t install it anymore. The new updated version of Genesis is now available as Genesis Reborn. 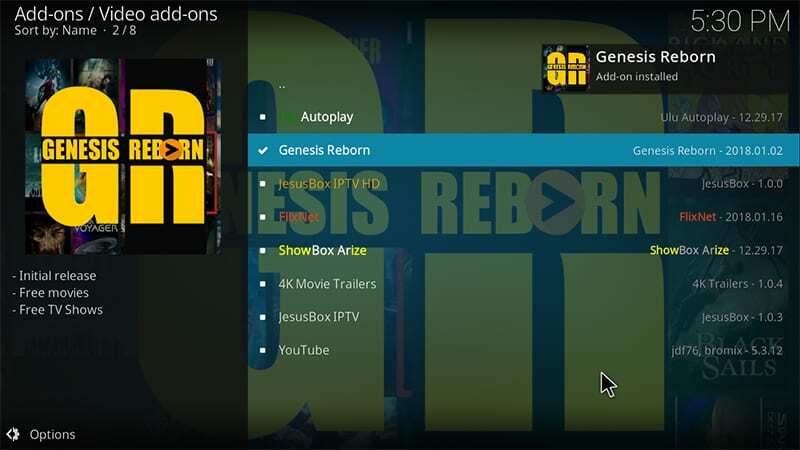 You can follow the steps given in this guide to install Genesis Reborn on Kodi 17.6 Krypton as well as Kodi Jarvis. For your convenience, I’ve tested this particular Addon on PC, Mac, Android, Amazon FireStick, and Raspberry Pi. It is currently working without any issues. 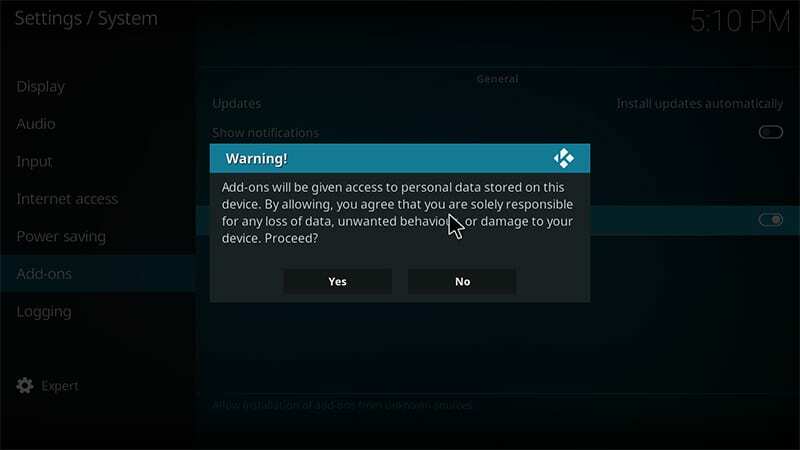 If you find any problems while installing or streaming, report in comments below. Update: Genesis Reborn is no longer functional. You may look at other working addons for movies and shows on our Best Kodi Addons list. 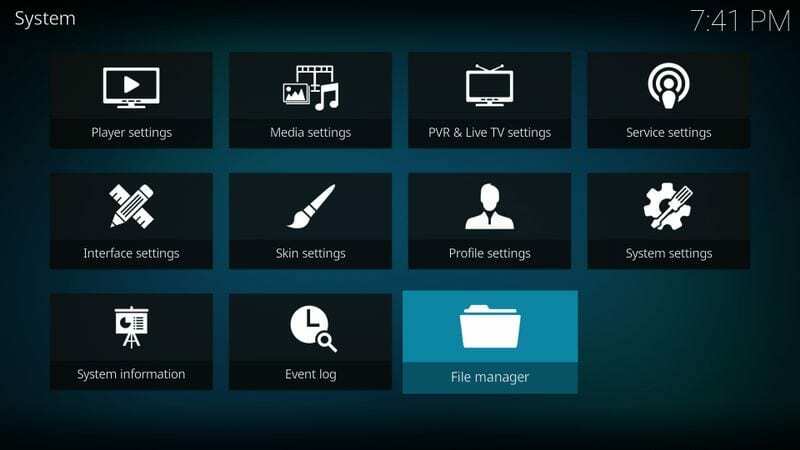 Note: Kodi Add-ons are like search engines and finds the content you are looking for. These should not be used to stream copyright content which is unlawful. If found streaming illegal content, you could get into serious legal troubles. All Kodi 17.6 Krypton and Jarvis users can follow this Step-by-Step guide to install the Genesis Reborn on Kodi. The guide will work for Windows PC, Mac, and FireStick users. Note: Jesusboxrepo is not working now. I will update the new working repo, if any. Meanwhile, you can install Genesis Add-on from Kodil repo. I have added the installation steps next to this Genesis Reborn guide. So just scroll down to the guide and enjoy. Step 1: Launch Kodi and go to the gear icon (Settings Icon) in the top-left corner on the main screen. Step 2. While in the Settings Menu, click System Settings > Add-ons. Now turn on “Unknown Sources” from the right-hand side options. Step 3. It will open up a warning box. Click on “Yes” and go back to the Kodi Homescreen. Step 4. Click “Settings” icon as shown in Step 1. Step 5. From the Settings Menu page, click “File Manager” and then double-click on “Add Source”. Step 6. Now click on “None”. Step 7. Type “http://jesusboxrepo.xyz/repo/” in the address bar. Keep in mind you have to add the path without the quotes as shown in the image below. Step 8. 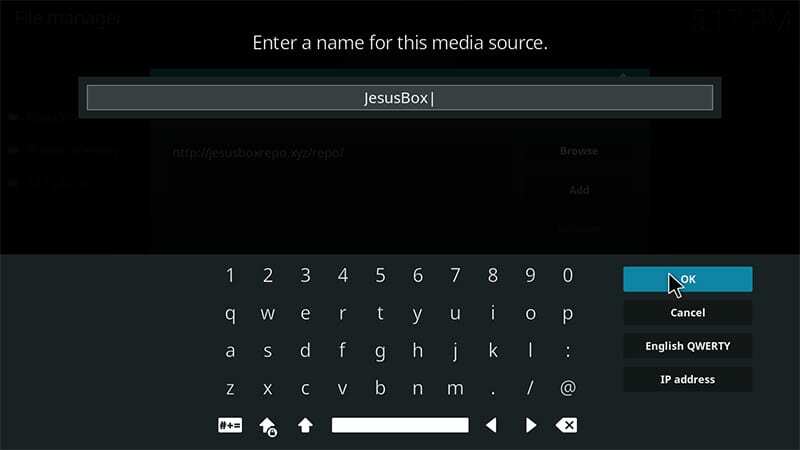 Now name the media source as “JesusBox” and click “OK”. Step 9. Now get back to the Kodi Homescreen. Select Add-ons and click on the Package Installer Icon in the top left corner of the screen. Step 10. 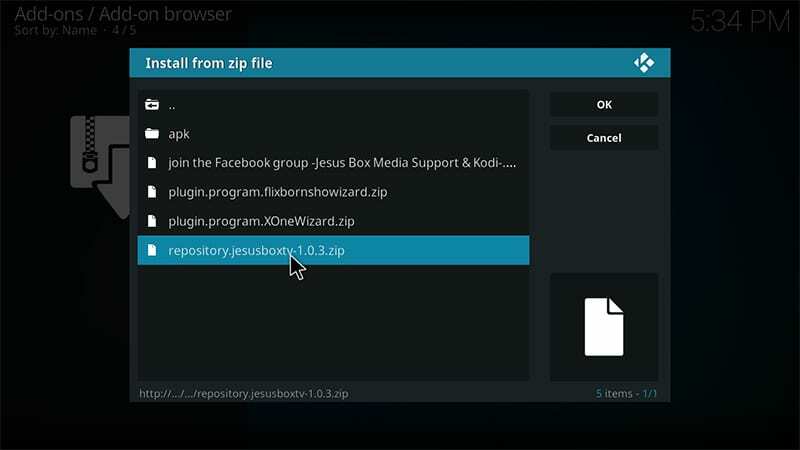 From the next menu, click “Install from Zip file” and then select “JesusBox”. Step 11. 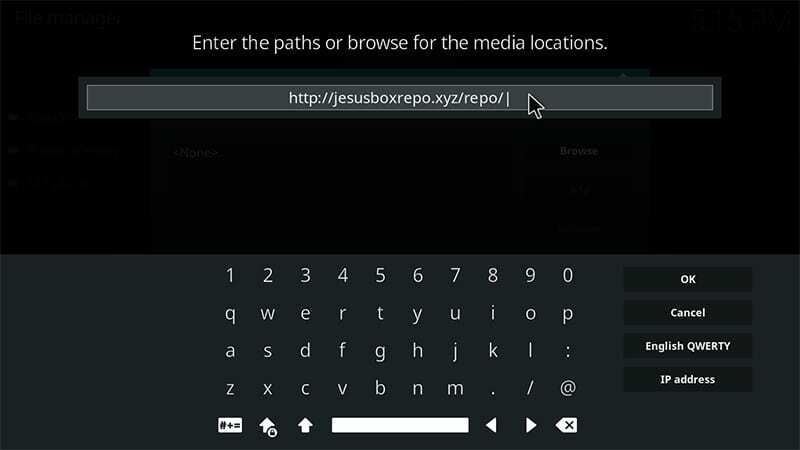 From the next pop-up screen options, select “repository.jesusboxtv-1.0.3.zip”. Note that the version number could change with future updates. Step 12. 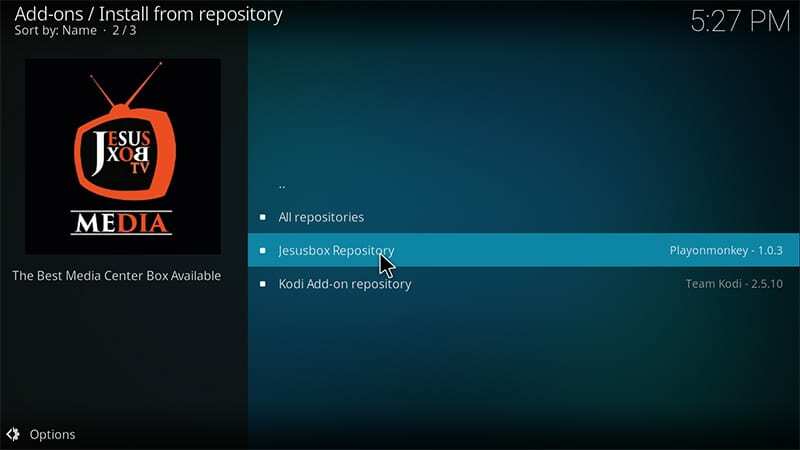 Wait until you see the notification “Jesusbox Repository Add-on updated”. Step 13. 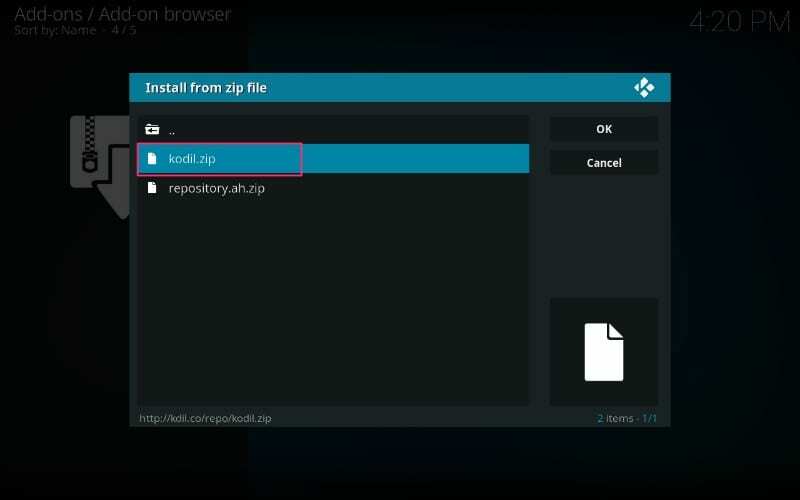 Now refer Step 10 and this time select “Install from Repository” instead of Zip file. Step 15. 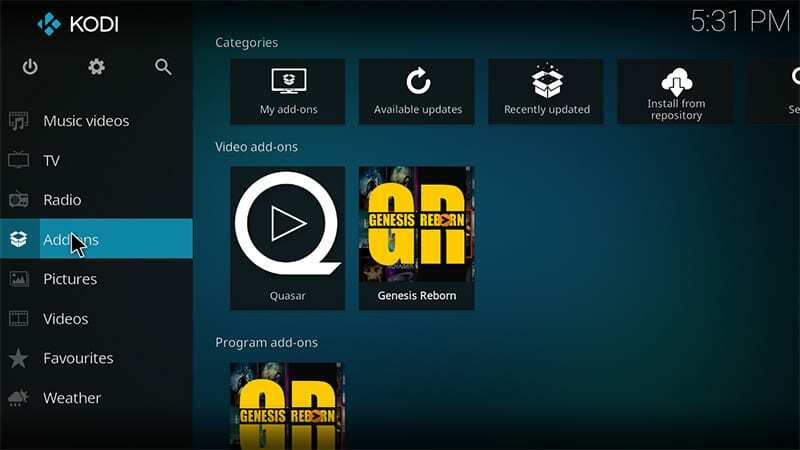 Select “Video Add-ons” followed by “Genesis Reborn”. Now click “Install” option. Step 16. After you click “Install,” you should see “Genesis Reborn Add-on Installed” notification on the top right corner of your screen. Step 17. Now get back to Kodi home screen and click “Add-ons”. You’ll find Genesis Reborn addon on the right side. That’s it. Enjoy!!! 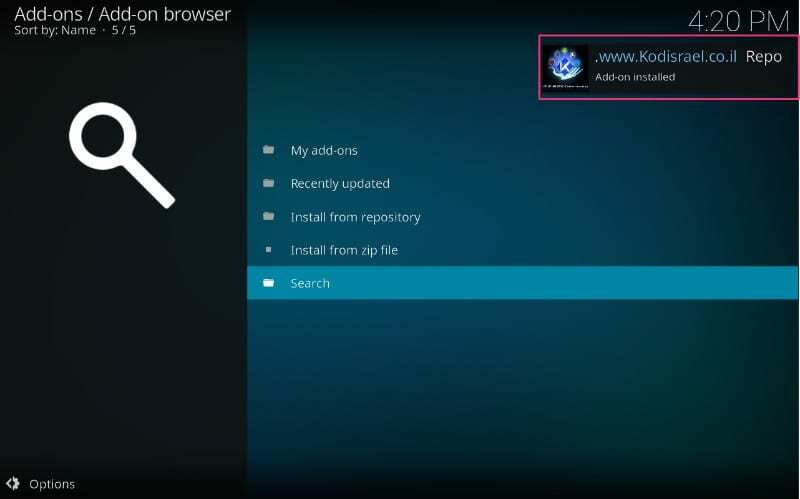 You can install Genesis Kodi Add-on from Kodil repo. 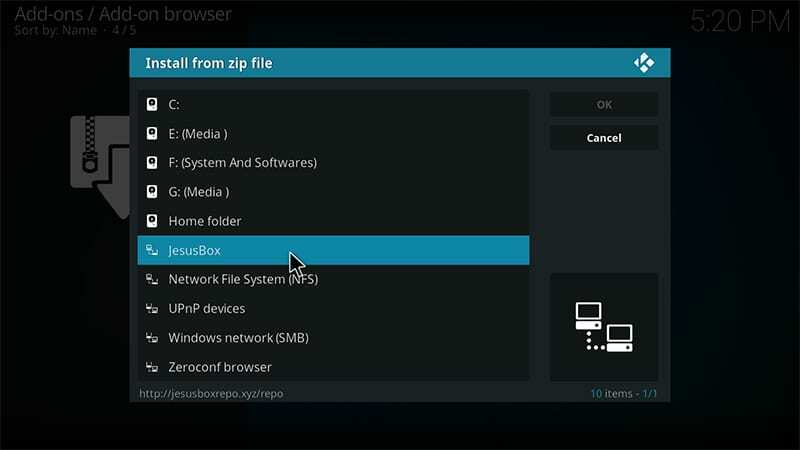 I am using Kodi 17.6 Krypton for this guide, however, it should also work for Jarvis. There will be a minor difference in navigation. 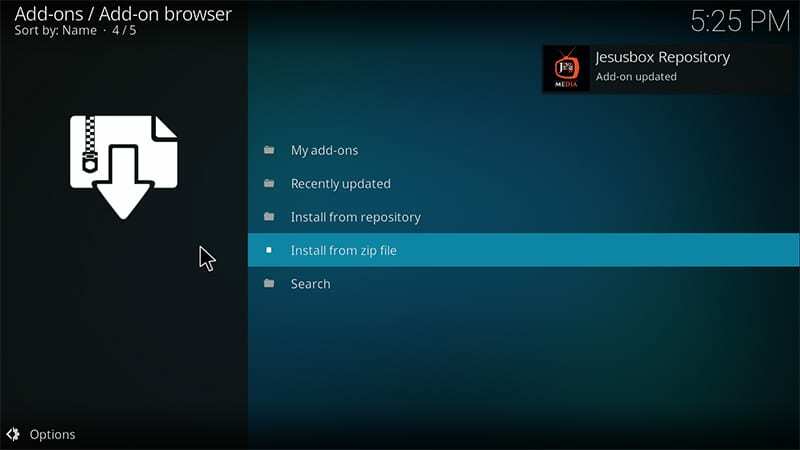 You can also update Kodi to the latest version. Let’s start with Genesis installation steps now. #3. Add Kodil repo URL – http://kdil.co/repo/ and type “Kodil” in the name field. Click OK.
#4. Go to Kodi homepage and click “Add-ons” menu on the left sidebar. #7. Now, wait for the notification. You should see www.kodiisrael.co.il Repo Add-on installed on the top right of your screen. #9. Navigate to “Genesis” Add-on. All these Add-ons are listed alphabetically, so scroll down to “G” and then search for Genesis. #10. Click Genesis and then hit “install” button. Wait for some time and you will get the notification Genesis Add-on installed. #11. 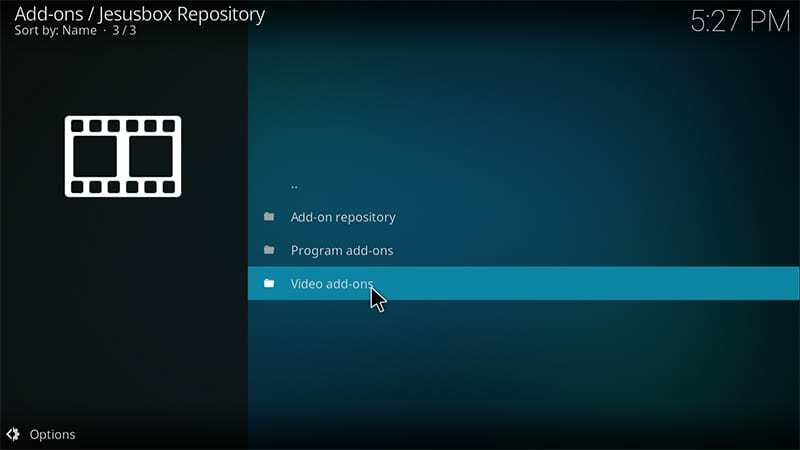 Go to Kodi homepage > Add-ons > Video Add-ons. 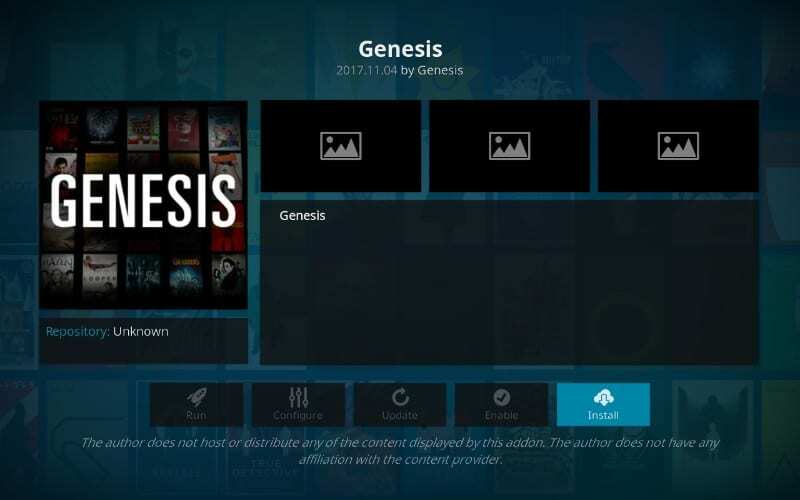 Here you should find Genesis Kodi Addon. 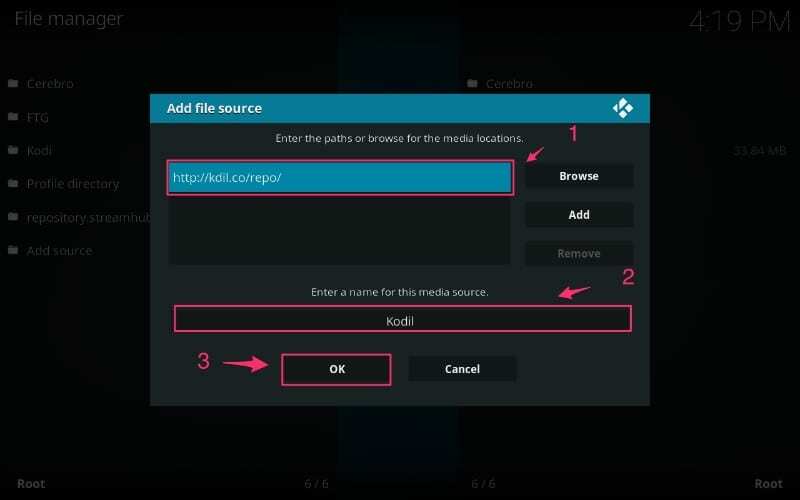 If you face buffering issues, you can also install Real-Debrid on Kodi for new HD sources and fast streaming. Cinema HD is also trending these days. If you want to give it a try, here is how to install Cinema APK on FireStick. 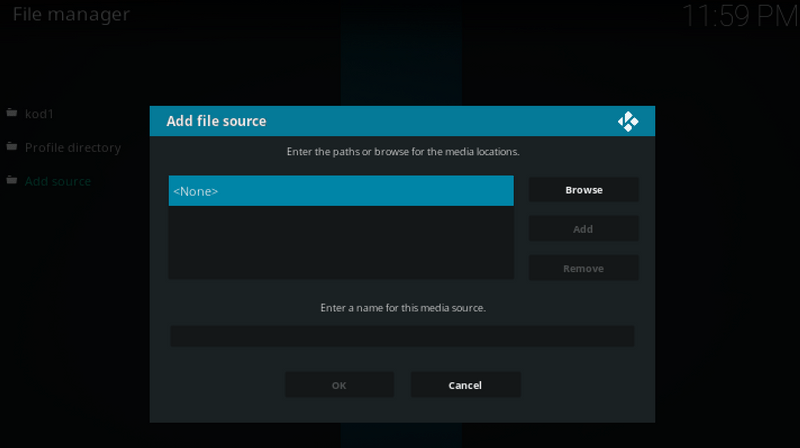 Kodi is no doubt a wonderful Open-source Media Player software. It allows you to access tons of videos, music, and other entertainment mediums with the help of Add-ons similar to Genesis Reborn. 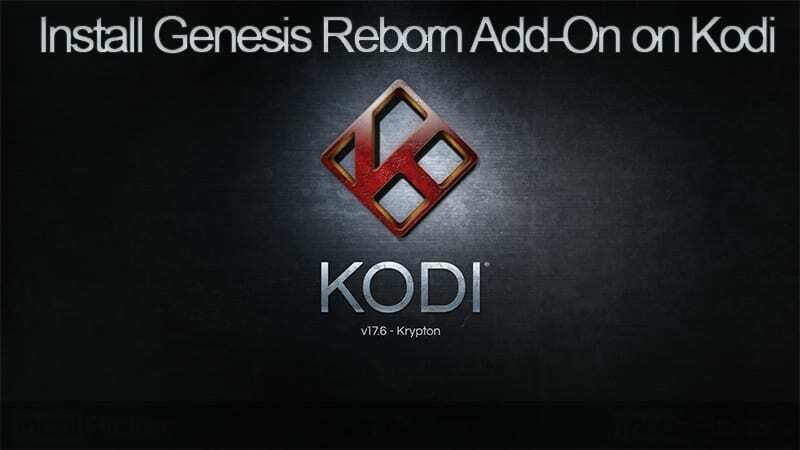 If you are facing any issues while installing Genesis Reborn Kodi addon on FireStick or PC, comment below. Hi. I have downloaded Genesis Reborn and am finding that most films or tv programs tell me there is no stream available. When I first got Exodus this very rarely happened. Am I doing something wrong? I have Genesis Reborn downloaded and a couple of weeks ago i was able to get 720s to come up but now I can’t get anything past SD. Hi, I followed your jailbreaking of Gen 2 firesticks, then I downloaded Genesis, Genesis Reborn, and Indigo. How do I search for movies and TV shows now? 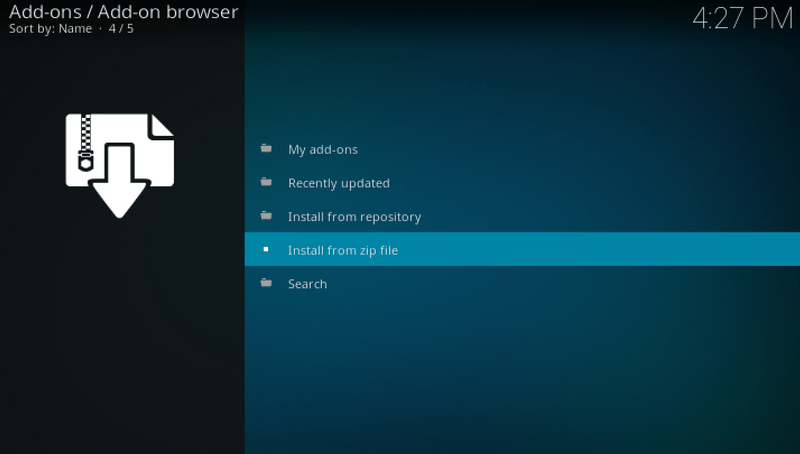 When I click on the search button on the top of Kodi, then press “search through add ons,” nothing I search comes up. 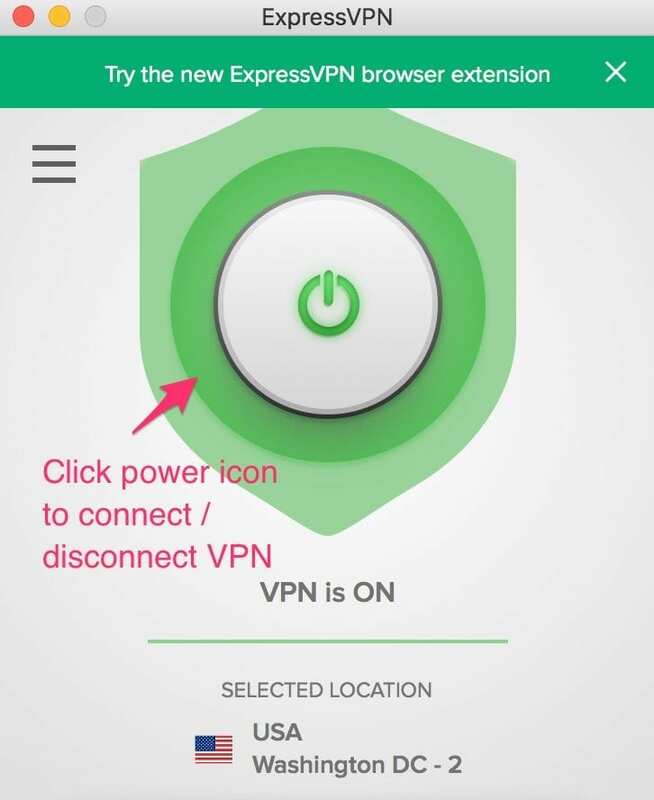 Is there something else I can download to make it easier? I am limited to providing installation guides only. Considering that some Addons might stream licensed content, I don’t really provide info on how to use any add-ons for watching movies or TV shows. I suggest you should reach the FB groups of respective Add-ons for more detailed info. Moreover, I recommend streaming only stuff which is copyright free and available in the public domain. As for the searching content from Add-ons, I think you should open the particular Addon and then use the search option available inside the Addon. It should bring the expected results. 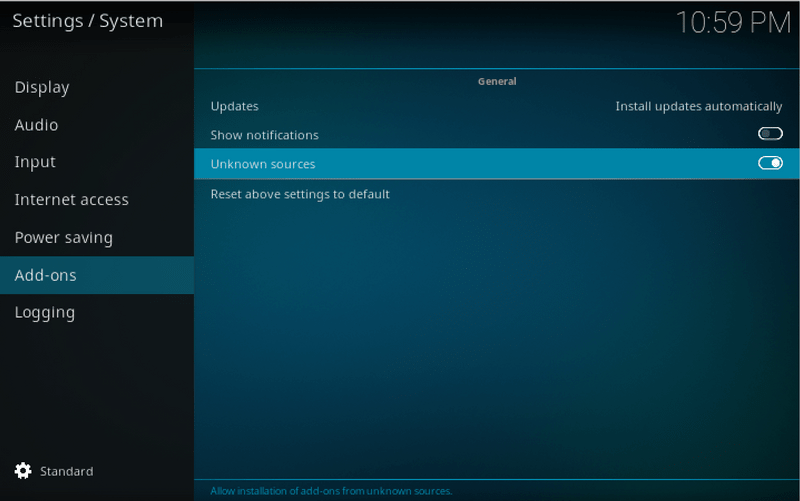 I have new installed gensis reborn but have no download option in settings can anyone tell me where it’s gone…? Have also changed to directory in general settings from dialog but no luck. I’m using kodi 17.6 and the latest gensis reborn, but can not download no movies……??? 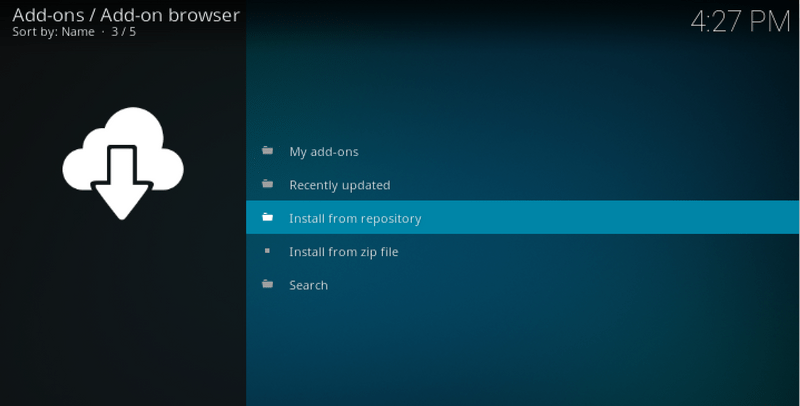 I am not able to install from repository. When I click on video add on the are only 3 dots. It seems that Jesusbox repo is not working anymore. I will update new repo if I find any. I have updated another guide for Genesis Addon from Kodil repo. It is working as of now, so you check that out. Thanks for informing me about the issue. It helps to keep the guides updated which ultimately saves time for all our readers. Do you have to go thru this whole process to update or does the update button inside the settings work? You don’t have to reinstall it unless update button is not working. Click the Update button and then you should see the new version if any. There you can update your Addon. After using Genesis Reborn for a few months now, it suddenly freezes at the provider download screen. Even cancelling the download doesn’t work, and then requires a restart. Any ideas would be appreciated. I would be happy to assist you. Could you please tell me how did you install the Genesis Reborn on your system? Is it the same method I mentioned in this guide?